Give them the gift they really want. Hey, they like to make their own decisions, so let 'em. 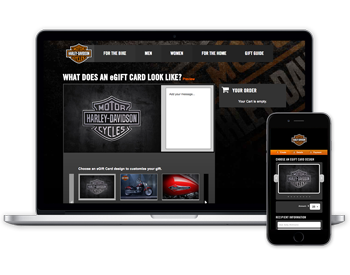 Ranging from $25-$500, Harley-Davidson™ Gift Cards can be personalized and emailed in minutes or shipped right to friends and family. 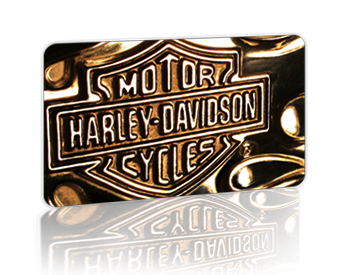 Your recipient receives a beautiful, full-color, personalized eGift Card that can be redeemed at authorized, participating H-D® dealer locations across the U.S., the Harley-Davidson Museum, Factory Tours and on h-d.com/store to purchase Genuine Harley-Davidson® products and services. Never expires and no fees. Ship to an address of your choice. H-D® dealer locations across the U.S., the Harley-Davidson Museum, Factory Tours and on h-d.com/store to purchase Genuine Harley-Davidson® products and services.